Steven M. McElhiney is the President of EWI Re, Inc., a subsidiary of NL Industries, Inc. (NYSE: NL), an industrial and chemical conglomerate. EWI Re is a global reinsurance intermediary with a particular expertise in captives, supply chain, and wind-up transactions. Steve serves as the Chief Risk Officer for the parent company, Contran Corporation as well as the President of their Captive insurance company, Tall Pines Insurance Company of Vermont and EWI Re (UK), Ltd., EWI’s London based subsidiary and Lloyd’s brokerage. division executive, and Board member. Companies Association (“CICA”), the global association for captive insurance companies. 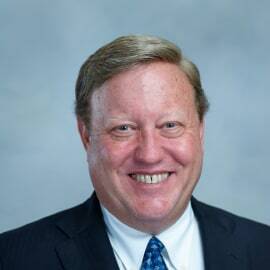 He is a Past President and Chairman of the International CPCU Society (2011-2012), and a Past Chairman of the Board of the Vermont Captive Insurance Association (2011-2013).